We just made the Government pull a screeching U-turn. When I tabled an amendment to the EU Withdrawal Bill to transfer the full effect of EU law on animal sentience into UK law, the Tories voted me down. But with your support, I forced them to announce a new draft Bill yesterday. Thanks to you, the obligation on the Government to ‘pay regard to animal sentience when making new laws’ will now be transferred into UK law. If you have a cat or a dog, you don’t need me to tell you that animals have an emotional life. For most of us, it’s not some philosophical question. It’s obvious that your pet can be happy and sad. They have moods. They can feel pain. And they can suffer. 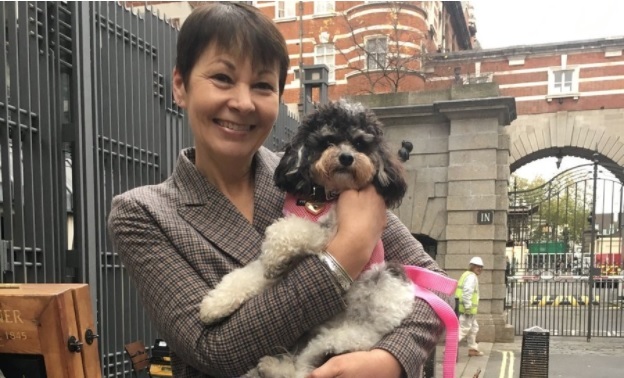 It’s common sense to this nation of animal lovers, but our Government had to be forced to make sure that ministers will always take animal sentience into account when making future laws. Yesterday, we made a real difference to ensuring high standards of animal protection in the UK for years to come. Thank you for your help in making it happen. And thank you for supporting the only party which will always stand up for animals. Categories: News & Views | Permalink. A Green Veggie Gardening Gooner from Welly who tweets about views & news not telly. I'm honest & often outspoken, I want to fix the world because it is broken. Published and promoted by Penny Kemp for East Midlands Green Party, both at 56-64 Leonard Street, Development House, London, EC2A 4LT. Ads are not promoted or endorsed by the East Midlands Green Party.